I have this secret dream, a bucket list of sorts. I really want to get certified to be a yoga teacher. I think I would be good at it. Not because I am great at yoga but I would really like to help people and show what the benefit yoga has done for me over the years.I also would make sure I would practice and teach to amazing music...I think like Lana Del Ray and Robin Thicke kind of vibe...what do you think? Yoga has helped me out of car accidents and last year when I had my piriformis syndrome. I will save you the google...it is literally a pain in the booty. And when I say pain, I mean shoot yourself in the booty pain. After my trusted chiro, masseuse and PT helped as much as they could a little light went off....Yoga! Dur! So I started going to Yoga at Yoga Bala and nursed that booty back to good health. I was soon addicted. I was going pretty regularly and enjoying and then that whole wedding planning threw my schedule out the window. This is no excuse but I was looking forward to getting back on the track and getting back into my way. Now that I am back in the groove of things, I was excited when Manduka contacted me and asked if I wanted to try their UnBLOK? I wonder if she could have heard me squealing from here? As you know, any kind of blocks for yoga are intended to help you with your practice. Probably my favorite thing about yoga, is that you can come in at all levels and work at your own pace and noone is any more the wiser...no pressure and the use of tools like blocks and straps help you get there and also deepen your practice. Thoughtfully designed to be the most versatile foam block in the market, the unBLOK satisfies the needs of yogis everywhere. The adjacent & dual curves allow for versatility in traditional poses, offering a deeper, more natural arc support while the flat sides of the block maintain the support of a traditional block. I liked the curve of the block, it was so much more convenient than any other blocks I tried! The adjacent & dual curves allow for versatility in traditional poses, offering a deeper, more natural arc support while the flat sides of the block maintain the support of a traditional block. It made quite a difference and I liked the curve of the unBLOK, it gave me a bigger sense of security. 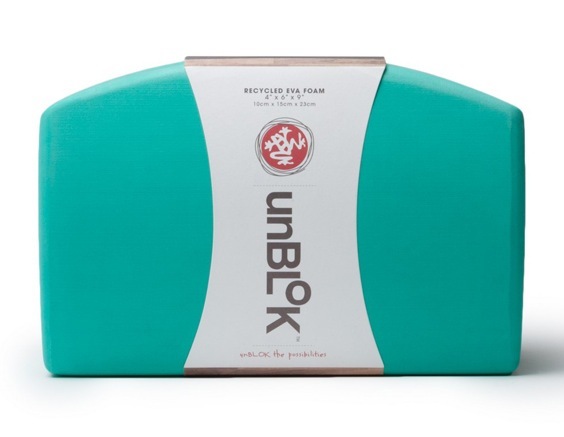 Of course, Manduka is all about being green and the unBLOK is no exception. It is over 50% in recycled material in every block provides a higher level of recycled material than any other recycled foam block currently in the market. The opinions expressed above are 100% my own. 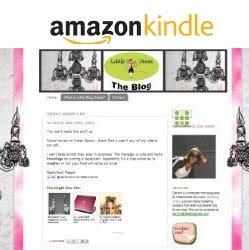 I received product in exchange for this review and post. I am disclosing this in accordance with the FTC's 16 CFR, Part 255: "Guides Concerning the Use of Endorsements and Testimonials in Advertising."